Karissa Moffett, the Safe Routes to School Coordinator at Health Planning Council of Northeast Florida, highlights the important role of advocacy, facilities and policies for transportation justice in the development of healthy cities. Jamie Lerner, philosopher, and previous Mayor of Curitiba, Brazil, compared car use to his mother-in-law: “You cannot let her conduct your life.” And like that, we cannot let car-centric America drown out the voices of alternative transportation users—both current and potential. I cannot speak for Jamie Lerner but I agree with both him and a Vision Zero campaign– “Life and death can never be exchanged for other benefits within the society.” Advocacy and education is a platform, a necessity, in creating transportation alternatives. Flipping the script is no easy feat. We’ve been borrowing the roads and parking spaces, in turn causing a dangerous overuse without the intent to return. Under the current agreement the currency for “free” is at the cost of human lives. Following the objective suffering of alternative modes of transportation, segregation, sprawl, air pollution, obesity, congestion, efficiency, social community, economic vitality, biodiversity, and beautiful places we all have the right to enjoy. At the heart of urban planning I see envisage a space for everyone to enjoy and move around safely.. We are all people. People walk, wheelchair, drive, bike, bus, motorcycle, boat, train and take a plane. The awful fact though is people kill people. Both directly and indirectly. And ultimately it is at the hands at poor policies, bad infrastructure, lack of planning, and dangerous street design. Optimal safety and physically separated biking and walking infrastructure is among the top reasons why people are reluctant to cycle and walk, and empirical data proves “if you build it they will come”. For me, this feels like an overused phrase from the 1989 film Field of Dreams. But over and over again, this saying is ofttimes the first sentence of a successful transportation project. We are all pedestrians (people who walk) first. Safety should not be contingent on the choice of transportation we use. At the heart of a solution safety needs to be the priority of our cities’ engineers, planners, policy makers, and communities. However, the inconvenient truth is we can be so disconnected from our surroundings and not actively present. I pose to you this question– are unsafe street conditions the fault of the builder or the users? We cannot excuse the high-price tag for designing safe streets at the cost of loves. Shocking statistics reports 2,660 people die from walking (2015), 818 people die from riding a bicycle (2015), 4,295 people die from enjoying a motorcycle (2014), 27,759 people die from driving (2015). This equals 42,425 people who die every year from automobiles. Cars don’t kill cars. People in cars kill people. Pedestrian and cycling infrastructure that is separate from cars is pivotal for cities to adopt, BUT also essential is to include a well-connected pedestrian and bicycle network at every spatial extent– local, regional, state, and national level because it is directly linked with increased levels of cycling (Dill, 2009) and walking. It is also important to note preferences vary among gender, race, age, and experience (number of years walking and/or biking) (Sener en al., 2009; Dill, 2009). Regardless of all the mixed preferences we learn time-after-time people favor unmixed infrastructure. This is because physically protected and well-connected walking and biking infrastructure increases enjoyment, safety, and spatial mobility. The levels of cycling can be increased through strategic policies with potential to hold neglectful auto-drivers responsible, rather than the typical slap on the hand. But who holds engineers responsible for approving dangerous street designs? Where is the humanity in the politically-charged grants for transportation funding? According to the U.S. Department of Transportation “a portion of funds used for the bicycle and pedestrian [infrastructure] component may not be separately tracked.” How much of federal, state, and local dollars does car infrastructure get used for bike/ped infrastructure, vica versa. Land use policies are effective in helping to increase the level of walking and cycling. By focusing on a greater connection between land use and transportation we can provide a plinth for justice by improving quality-of-life and more active-lifestyles, decrease environmental greenhouse gases, improve health, and encourage “smarter” growth and sustainability (Sallis, 2004). Land use policies have a great potential to increase the levels of cycling. 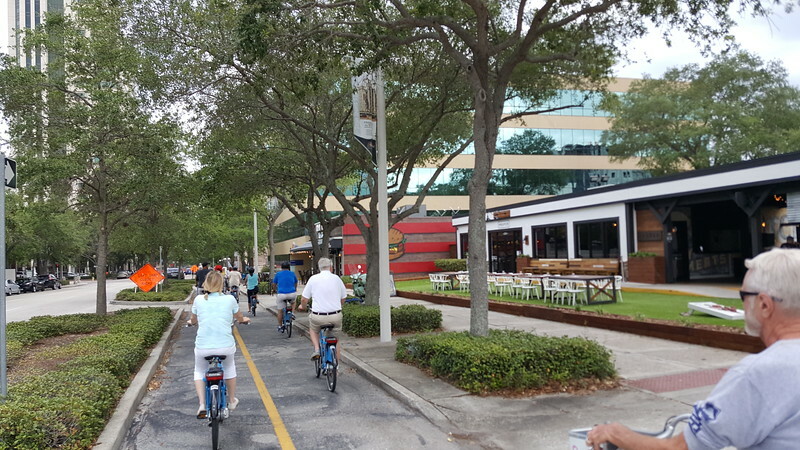 Studies have shown that compact communities with higher density and mixed land use, with protected or separated graded bike facilities do increase the amount of people on bikes than areas that are less dense and sprawled (Noland & Kunreuther, 1995). In the same vein, environmental and parking policies can be effective by raising the overall cost of the automobile and making it more difficult to drive (Pucher & Buehler, 2006; Pucher, et al., 1999; Shoup, 2005). The generalized cost of driving can be significantly increased though removing minimum parking policies, proper pricing, regulation, and enforcement (e.g. Buffalo, NY). This allows the market to treat parking as a commodity, rather than an entitlement, resulting in lower vehicle miles traveled (Shoup, 2005) and healthy communities and people who increase their quality-of-life. Achieving a more sustainable society is a harmony of notes. Governed by the principles and progression of connections (access + mobile + practical), design, and options. By favoring automobiles traffic-deaths soar, roads continue to be inefficient, and the quality of life plateaus. 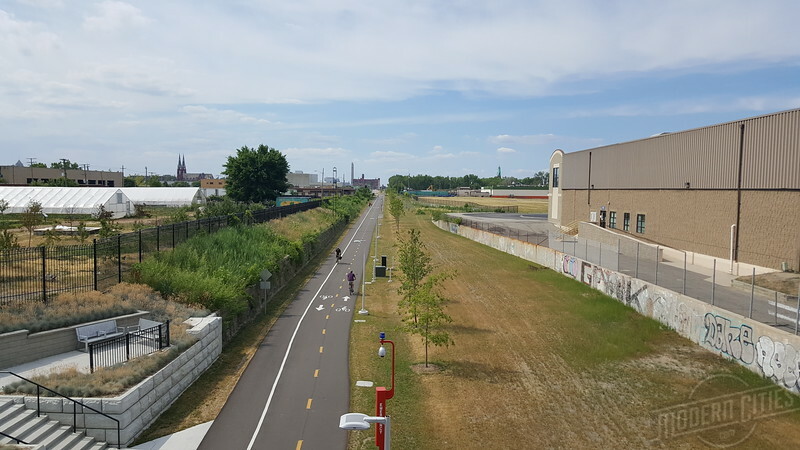 Advocacy, facility improvements, and policy can begin to connect origins and destinations for people on bicycles (walking and transit) to get everyone from point A to point B safely, efficiently, and with zeal. Dill, J. (2009). Bicycling for Transportation and Health: The Role of Infrastructure (Vol. 30). Journal of Public Health Policy. JF Sallis, L. F. (2004). Active transportation and physical activity: opportunities for collaboration on transportation and public health research. (Vol. 28). Transportation Research Part A.
John Pucher, R. B. (2012). City Cycling. Cambridge, Massachusetts: The MIT Press. Noland, R. B., & Kunreuther, H. (1995). Short-run and Long-run Policies for Increasing Bicycle Transportation for Daily Commuter Trips. Transport Policy , 2 (1), 67-79. Pucher, J., Komanoff, C., & Schimek, P. (1999). 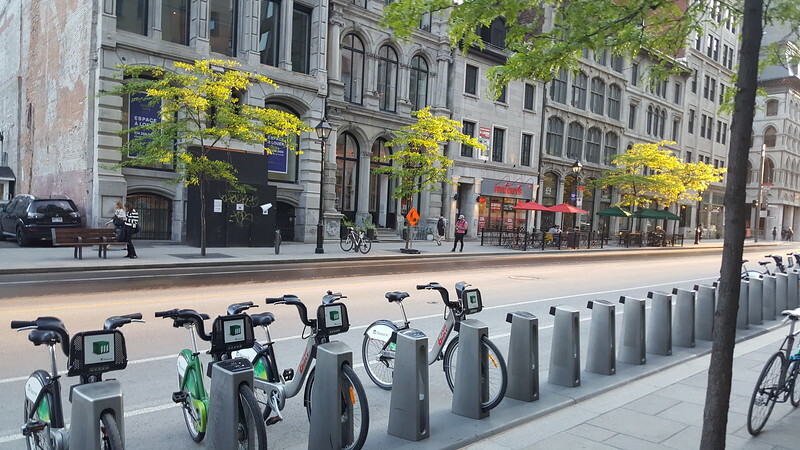 Bicycling Renaissance in North America? Recent Trends and Alternative Policies to Promote Bicycling. Transportation Research Part A , 33, 625-654. Article by Karissa Moffett. Title image features the Williamsburg Bridge in Brooklyn, NY on December, 2016. Karissa is the Safe Routes to School Coordinator at Health Planning Council for 7 counties in Northeast Florida. She is a passionate transportation planner who believes in healthy, livable, and sustainable cities through transportation alternatives to provide communities with the safety, access and mobility they deserve. 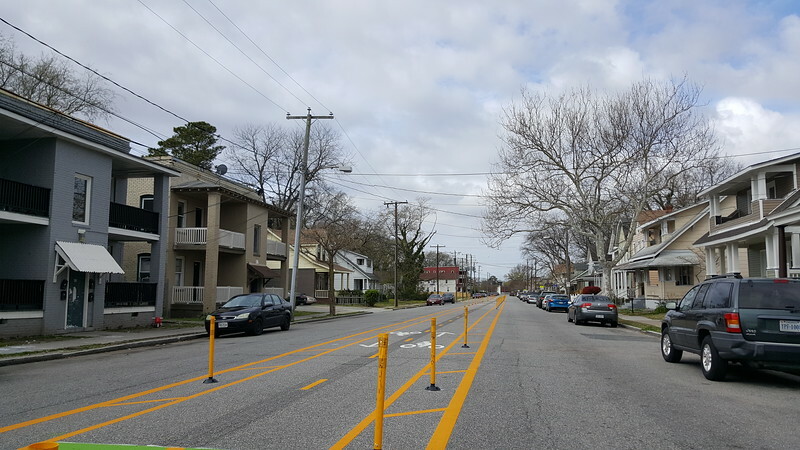 By designing, developing, and implementing transportation alternative plans we can meet the present demand and support people of all ages who walk, bike, and use transit; but also providing a plinth for growing demand of sustainable streets and healthy cities.